Welcome, Sisters and Brothers in Christ! Are you new to the area and are looking for a church home? 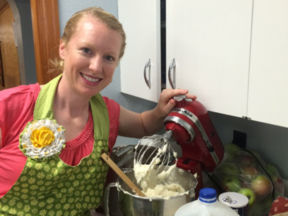 Maybe you've lived in the area awhile but recently felt nudged to look for a faith community. Have you had a crisis in your life and have a spiritual need? Maybe you have children and are looking for a place they can learn about God. Are you looking for something you can't explain? Whatever your story is, perhaps you will find a church home with us. If you have a ministry need, we would like to offer ourselves to you. Weekly service with organ and piano music, liturgical & responsive readings, and choral anthems. Communion is shared on the 2nd Sunday of the Month. 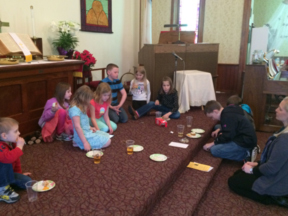 The United Methodist Church celebrates open Communion. 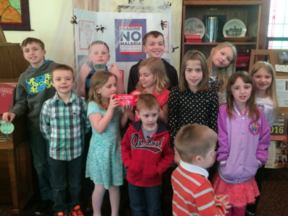 Everyone who wishes to receive Communion is welcome to participate, including children. To make disciples who see God, others, and themselves through the eyes of Jesus. Not available at this time - but all ages are more than welcome at worship - take advantage of our rocking chair to help sooth your little one! 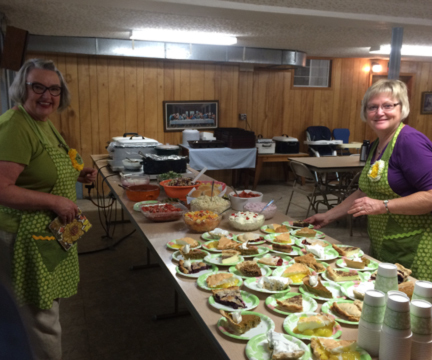 Each Sunday after the service a family hosts coffee, juice and treats for the congregation to enjoy! Each worship service has a Young Christian's Time. This is a message or activity specially designed for children. 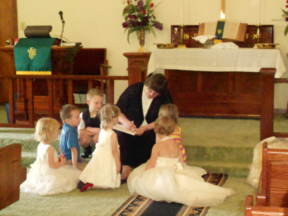 Children are engaged in stories, object lessons, or short games during this time in the service. We can go places from here! Starts at 11:45. Immediate seating for people who are on a work schedule. 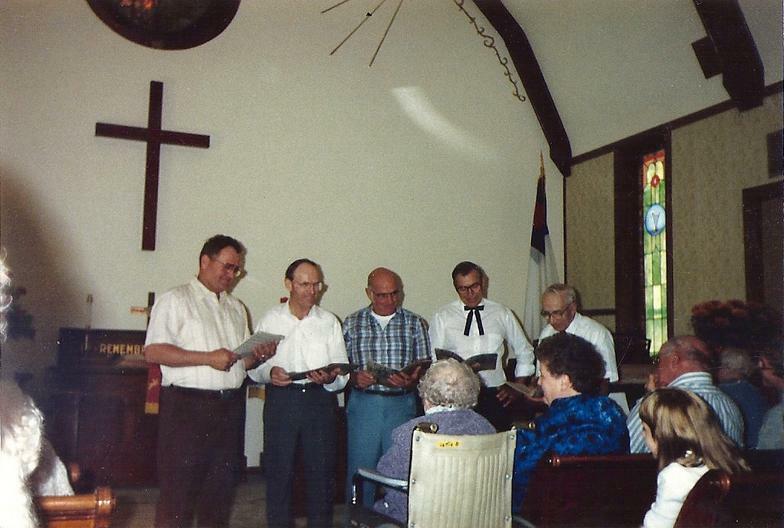 Others are seated in groups of 30, but enjoy entertainment in the sanctuary while waiting.